It's kinda a big deal ... because their 5-year marriage fell apart when he hooked up with Angelina Jolie and eventually married her. 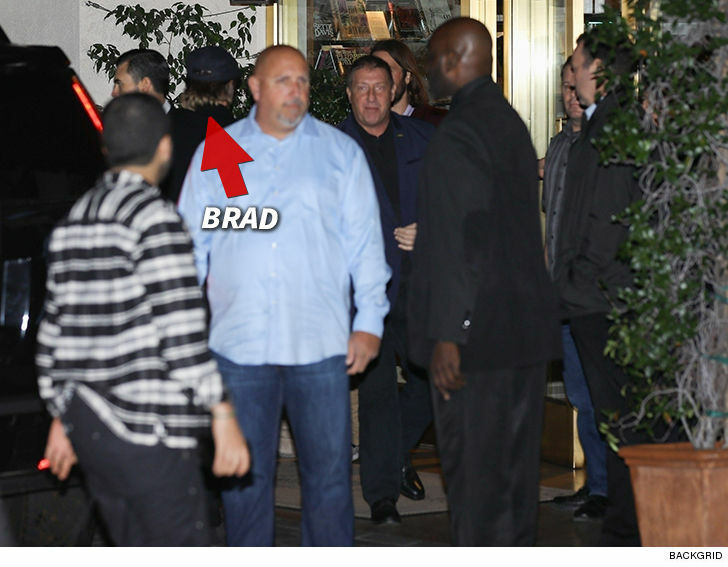 Brad snaked around most of the paparazzi Saturday night at the Sunset Tower hotel on the Sunset Strip but you see him from behind as he enters the building. BTW, it's Jen's favorite spot in town ... she's there all the time and, in case you're interested, loves the chicken salad. Brad was in a holy custody war with Angelina, but this doesn't seem to be a case of "the enemy of my enemy is my friend." From all appearances, Brad and Jen remained on friendly terms. 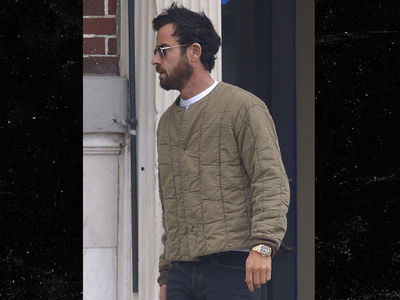 A bunch of other celebs showed up, including Robert Downey, Jr., Reese Witherspoon, Rande Gerber, Pharrell Williams, Keith Richards, Gwyneth Paltrow, Katy Perry, Orlando Bloom, George and Amal Clooney, David Arquette, Courteney Cox, Barbra Streisand and many others. BTW ... Brad used to date Gwyneth, so he knew the room!